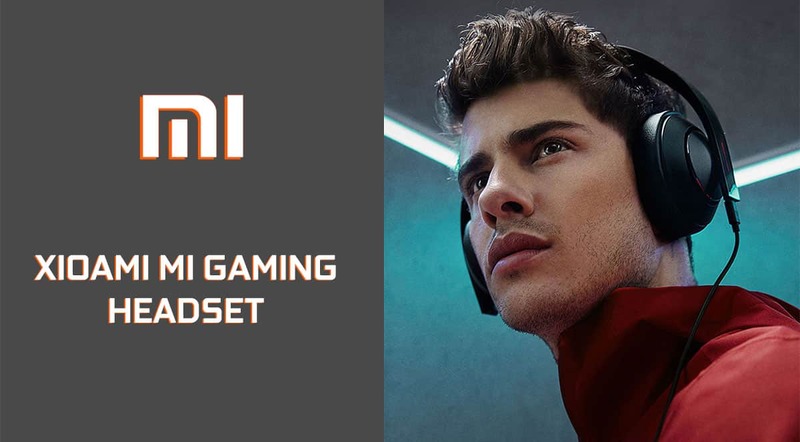 So, we received a review sample of the Xiaomi Gaming Headset which has an odd name if you ask me “Xiaomi Mi Game Headset”. Well, that tells you a lot about the product (pun intended). 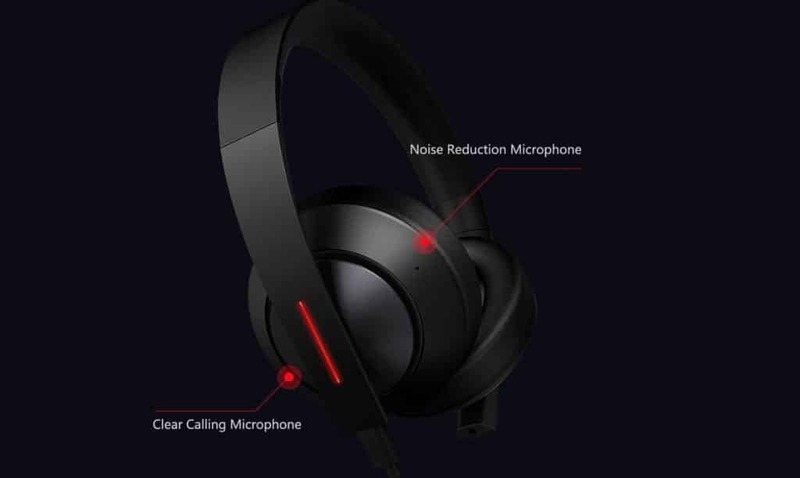 The product description on Gearbest says the headset features 7.1 Virtual Surround Sound, has a wired 3.5mm Audio interface and this one will blow you away, it has 2 microphones. So far it comes only in black and available only on Gearbest website. On the hardware side, it has 40mm Graphene composite diaphragm, which helps it to deliver perfect sound scalability and richness. It also features 7.1 Virtual Surround Sound for “immersive” gaming experience. For RGB enthusiasts it has two thin led zones for lighting. For the on-the-go users, this headset ships with an AUX cable as well as a USB connector for PC which are obviously removable. The headset weighs around 810 grams which are quite heavy if you ask me. But the testing has been quite smooth so far. The headset has two microphones. One for blocking your unnecessary breathing sounds while you game (i.e Noise Cancellation) and the other for voice input. 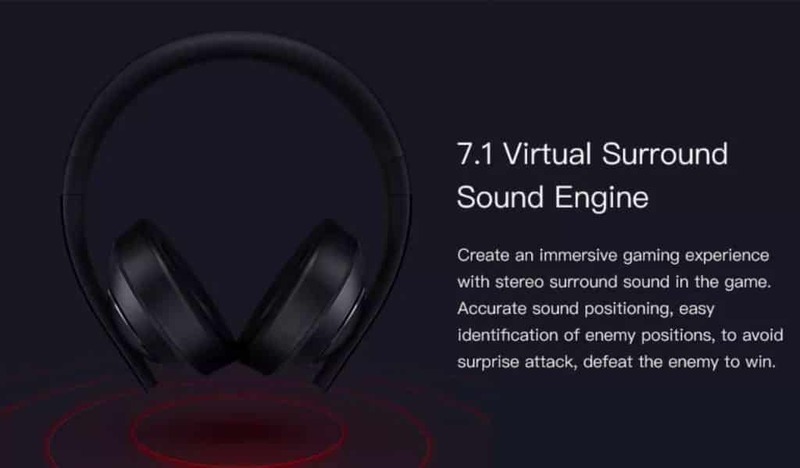 The headset is great for casual gaming and also if you’re into music composing because the sound is crisp and clear on 7.1. The microphones sound great too and the noise cancellation ability is as good as it is sold. The price point is a seller on this one because it’s sold for US$81. At that price point, many manufacturers tend to cheap out on one or the other thing, but the same can’t be said about this headset. Xiaomi definitely has stepped up their game and have entered strongly into the Gaming segment. One thing I like the most about this headphone is that it has a unique design that doesn’t look like a copy version of anything. When you open the box, you’ll receive two cables (USB and 3.5mm) both are removable and you can use anyone at any time according to your need. The USB cable has integrated switch for turning the mic ON or OFF and it uses the mic integrated into the headphone itself. However, the 3.5 mm cable has its own mic integrated into the cable making it independent of headphone mic. That means you can use this headphone not just for gaming PC but also with your smartphone for making calls. Taking about other aspects, everything looks premium including the earbuds and the design. The sound quality of mic and speaker is what you expect more from a headphone. I’ve used many products of this range including hyperX cloud II and Logitech headphone but this particular headphone sounds better than those I’ve tried before. The sound is crisp clear and you can feel the bass the way it should be. The sound Quality is close to Beats and Bose headphones. Talking about the Mic, there are no cons here. As I mentioned earlier, it has two Mic for reducing noise and capturing clear voice. It comes up with a driver software for adjusting the 7.1 surround sound and the RGB lighting. Got nothing as of now other than on paper it’s heavy but to be fair, all gaming headset in this price comes up with the same or more weight. You can not fold this headphone in any way, you have to carry it around just as it is. The other problem is that the manual and driver is available in the Chinese language that makes it bit harder to configure it but with its proper visual guide you can easily figure out what to do. This is a great headset for the price, with a great build quality and also lots of cool features to try and experiment yet. For $82, This can be the best gaming headset for you. 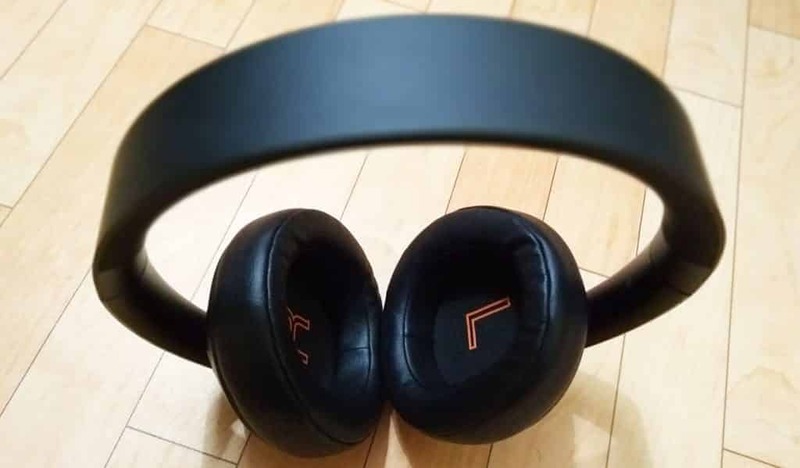 It has very good sound quality, clear mic without noise, 7.1 surround sound, comfortable and stylish design and made by world’s one of the most innovative companies, Xiaomi.